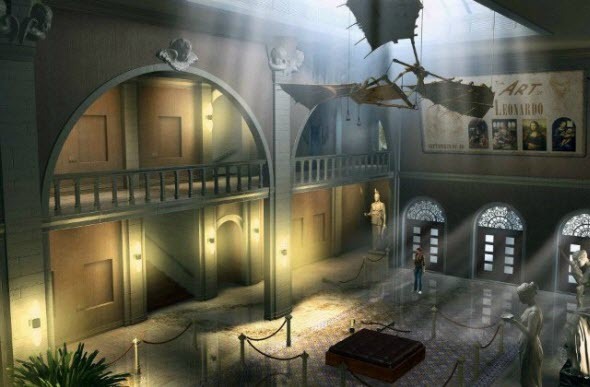 German adventure games have never been the best ones, but Secret Files got positive reviews from critics in 2006. 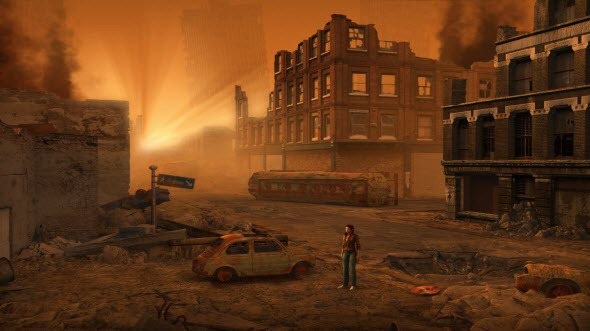 That's why the developers released the sequel of this game in 2010, and on the 14-th of September, 2012 the third part of this series appeared on Steam. The protagonist of the Secret Files series is Nina Kalenkow - brave and beautiful Russian girl. In the first part of Secret Files she came to Germany to find her father, and then was travelling a lot, seeking for his trace. She was working with Max Gruber - her father's colleague and her future husband. In the third part of the game Max and Nina are planning their wedding, but unexpectedly Max is arrested, and now Nina needs to understand the secrets of her fiancé and release him from the prison. She has a lot of puzzles to deal with, and also she is becoming a part of much bigger mystery of the apocalypses. The scenario is complex and sophisticated, but with your help Nina can find the answers, so just settle comfortable and go for this fantastic adventure. The developers wanted to create interesting and rich story, and that's why they asked the real scriptwriters to help them with the scenario. NEOS film - production company from Munich - joined the team and added the film looking to this game. But it seems that they overdone it a little bit. 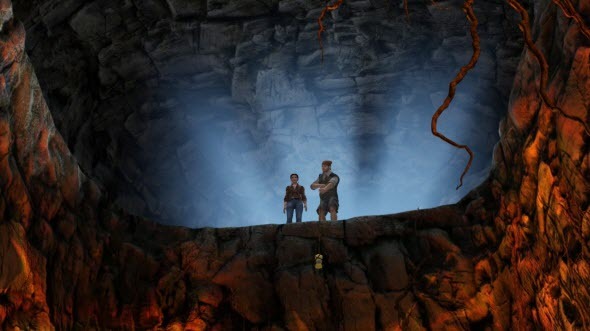 There are too many storylines and places in the game, so it looks like the developers mixed up a lot of different scenarios in one adventure, but then forgot to distinguish the main plot. Well, the game starts in 48 B.C., where you are playing the role of mercenary and you need to destroy scrolls from the library. In the next chapter you are Nina, and you are going to the wedding. But in the church there are no guests, and the priest is talking about the coming apocalypses. 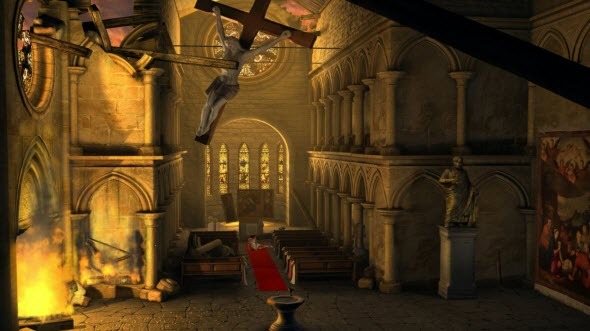 After a few seconds you are alone in the burning church and you need to find the way out as soon as possible. Fortunately, it was just a dream, but these dreams will follow you during the whole game. You will get to the ancient Turkey and talk with real Leonardo da Vinci, so the decorations will change almost after each short chapter. But the logic of these changes is not clear. The logic of the puzzles sometimes is also poor, but we must say that the tasks are really various. Each brainteaser is unique, so it is rather interesting to solve them. And also almost every puzzle is multi-tier - to do some action, you need to find an item, then do something with this item, and only then you can use it for the main task. So, sometimes it is not easy to find the solution, and sometimes the logic of the sequence of these actions is very questionable. 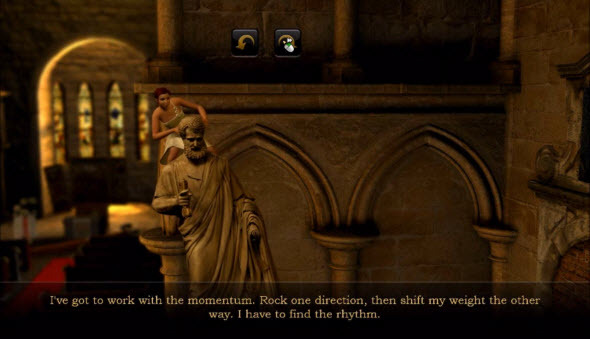 The game has classical point'and'click interface, and to solve the puzzles you have to collect a lot of stuff. There are really plenty of items on each level, so if you think that you have missed something, you can use the hint. Click on the loupe in the bottom right corner of the screen and you will see all needed items and places for several seconds. And then try to combine all these things together to pass the next level. Using your brain and hints you will pass the game very quickly. It is really hard to stick in the game for a long, so you can finish this adventure in several hours. If you have some problems, use enumerative technique, because in this game it really works. If some item is compatible with some place, then the indicator will become green. Otherwise, the game won't let you use the item in this place. So, it is not really hard to finish this game. But sometimes it is really boring. 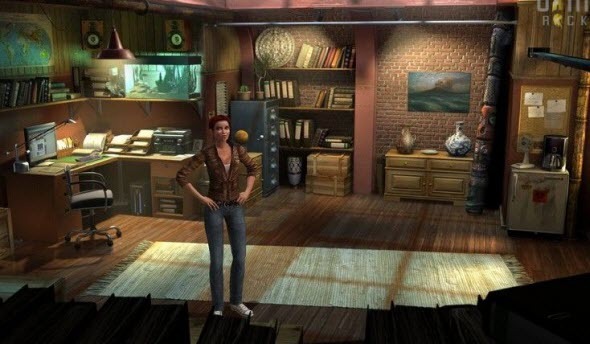 But like the previous games of these series, Secret Files 3 has perfectly developed graphics that will let you dip into the magnificent atmosphere of mysteries and puzzles. Hope you will like it and forgive other defects of the game.